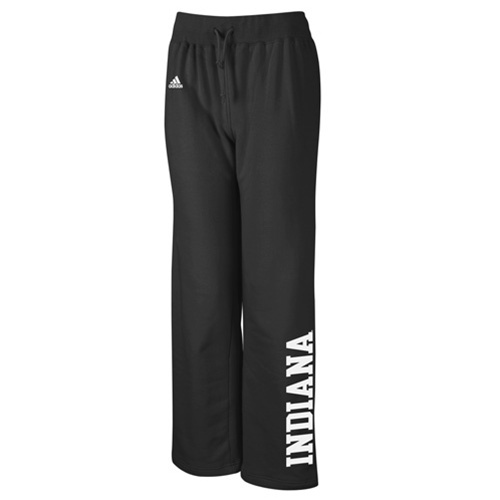 These comfortable stretchy pants from ADIDAS were made just for the ladies with a drawstring waistband and a screenprinted left leg INDIANA logo. The alternate color black is a nice change and the white lettering really stands out nicely. Perfect for the gym or for lounging about casually, these are a nice way to show your Hoosier pride!